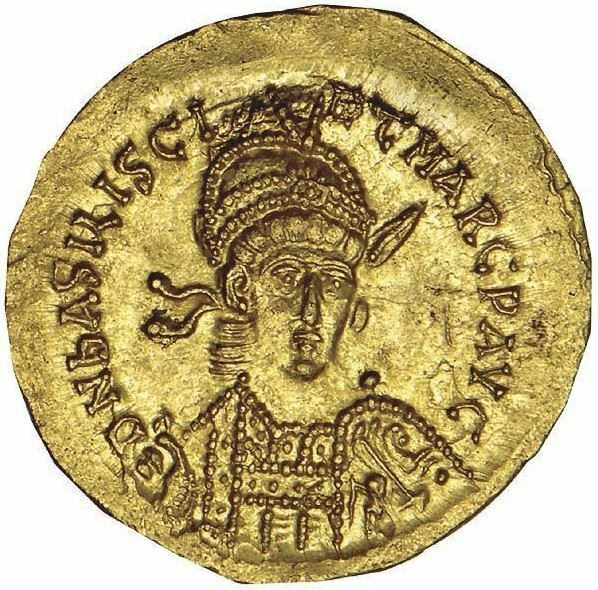 Flavius Basiliscus Augustus was emperor in the East from 475 to 476. He was the brother of Empress Aelia Verina, who was the wife of Emperor Leo I. He came to power when Emperor Zeno was forced out of Constantinople by a revolt. During his short rulehe alienated the Church and the people of Constantinople. Secondly, his policy of securing power through appointing loyal men to key roles antagonised many important figures in the imperial court, including his sister Verina. So, when Zeno tried to regain his empire, he found virtually no opposition, triumphantly entering Constantinople, and capturing and killing Basiliscus and his family.